Happy Friday everyone! How did we get here so fast?!? This week was our Spring Break and I think it is safe to say while it had its ups and its down it was so nice to relax and get a break from the hectic day to day. Now the countdown to summer officially begins!!! As usual linking up with some of our favorite bloggers for Friday Favorites, but first to announce and congratulate our winner of the Monogrammed 18k Pearl Studs giveaway from The Pink Monogram. 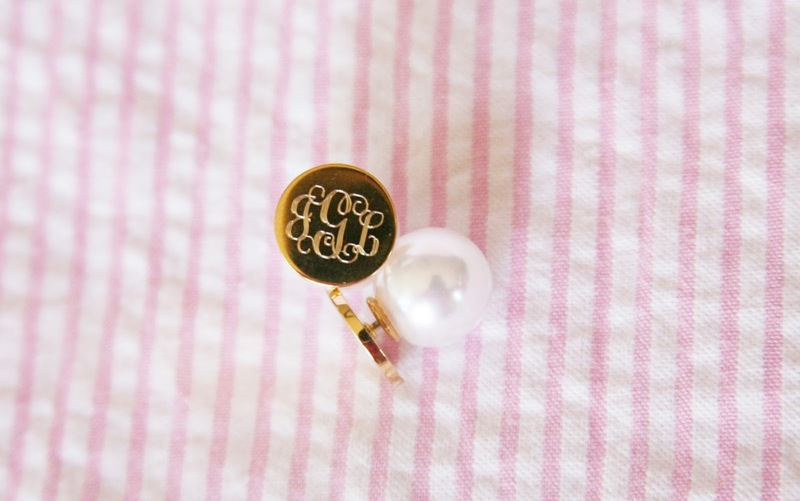 Shoot us an email at themagnoliamamas@gmail.com and we will get all the details from you for your new pair of studs! My first favorite of the week was the kick off to our Spring Break. We spent Saturday morning at the soccer fields and then the rest of the day planting all of our flowers and doing yard work. About halfway through getting our gardens ready, I received a text from Carrie Beth asking if we wanted to do a last minute impromptu dinner with them. Yes! 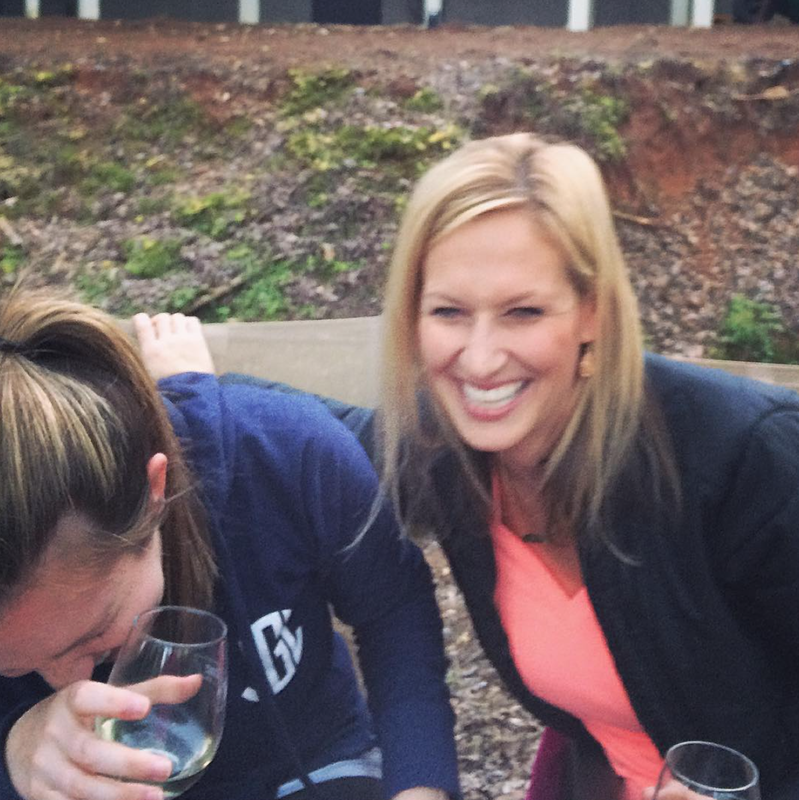 We grilled out, had some s'mores, obviously had some great wine, and had a ton of laughs! I think this might be my new favorite picture of us! I have no clue what was said at this moment, but it was so nice to be outside, relaxed and enjoying life with our best friends - crazy kids, crazy husbands and all! Now that Easter is behind us, I have officially put the winter clothes in the back of the closet and switched over to my spring everything. That means changing up my diaper bag and tote. I love love LOVE all things seersucker and that includes my new monogrammed tote. I love how big it is, but its still pretty lightweight. With all that comes with toting around three kids, the lighter the better. My bag is available HERE, and there is a $10 discount if purchased through the link. We can all be suckers for seersucker together. At the beginning of the week, I ended up learning that I had to have a little oral surgery. Boo! 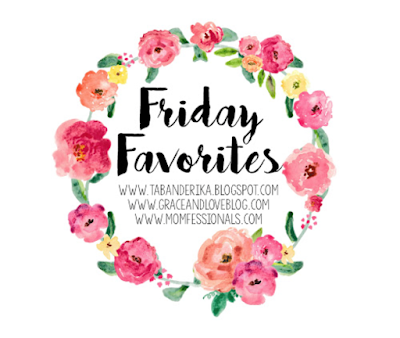 Totally not my favorite!! I planned a jam packed week of fun since Mr. Cute had work obligations to handle at The Masters all week (rough, right?). It limited us on what we could do throughout the week, but I was determined to sneak in a fun adventure or two. We made our way to the movies on Wednesday and saw Zootopia. I hadn't really seen any previews for it, but saw that it had animals, and a few people that I knew who had seen it had raved about it. It am so glad we ended up going because the kids absolutely loved it! 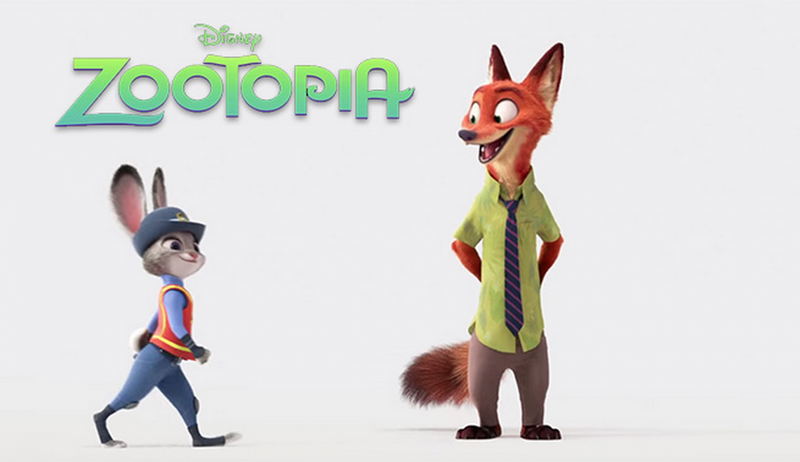 It was a super cute story and had a lot of great meaningful messages mixed in throughout the plot. It also was action packed, which helped keep the attention span of my two Crazy Cutes. They were super into it. L.C. was sucked right into the drama, and let out a rather loud "oh no!!" or "watch out!" on occasion. I would definitely recommend taking the kiddos to go see it if you haven't been yet! Because after being trapped in the house most of the week, it's so totally true! Now while I wasn't able to attend the Master's this year, the hubby did take a quick break to check on us and drop off some Master's goodies. He got everyone a little something, and I love what he brought me home. This super cute pink pull over and an adorable pink seersucker hat. Pink and seersucker - he knows me so well! And since I have been couch bound for a good part of the week, I have been able to catch up on a lot of reading. I am totally sucked into The Nest from our book club suggestions this month. It is definitely a juicy little tale that I can not put down!! That's rounds it out for my favorites this week. I hope you guys have a fabulous weekend!! Thank you! It is so cute in person! Happy Friday! Thank you! L.C. Is 2 1/2 and it holds her attention for the most part. My son at that age wanted to sit through every credit. It's so fun though to hear what they thought of the movies. Have a great weekend! That tote is so cute! I've been looking for a less diaper bag-y diaper bag, and that looks perfect! Yes! I love a diaper bag for its pockets but it's nice to do something a little trendier sometimes. And you can wear this one as a cross body which is perfect. Have a great weekend! 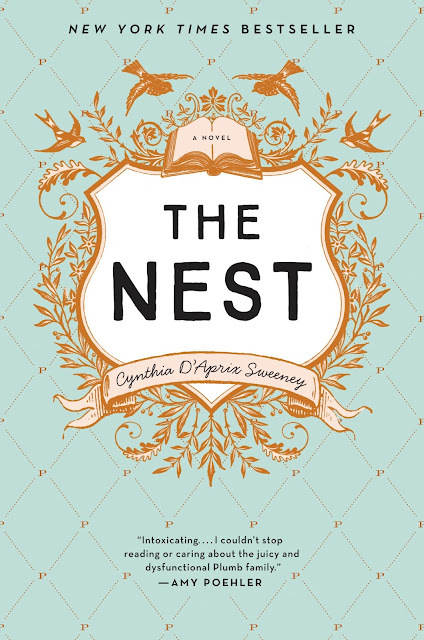 I'm headed on vacay soon and I think I'm going to have to read the Nest! It is so good! I kept hearing everyone talk about it, and now I see why. Have a great vacation and happy Friday! 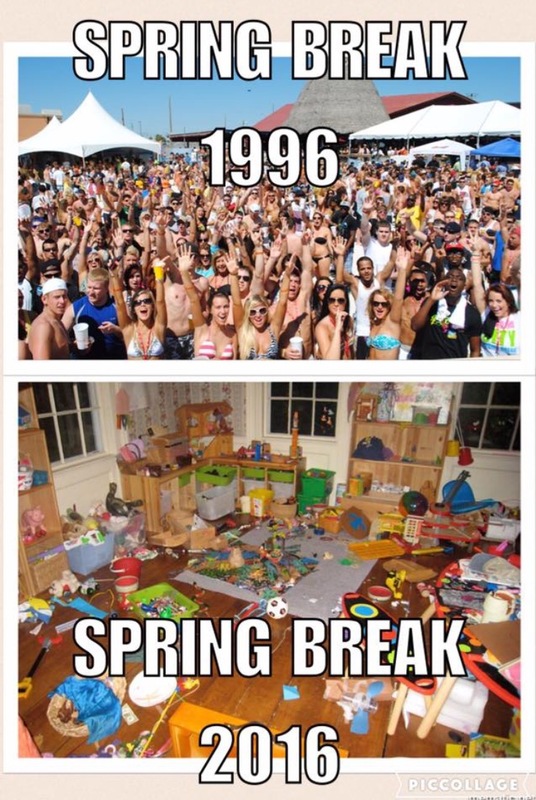 I loved zootopia and your spring break picture made me laugh out loud! !